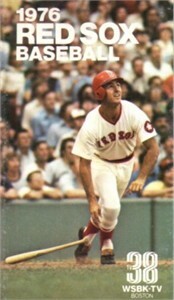 Original 1976 Boston Red Sox pocket schedule featuring former superstar outfielder Fred Lynn on the front. Pristine condition with only very minor wear. ONLY ONE AVAILABLE FOR SALE.